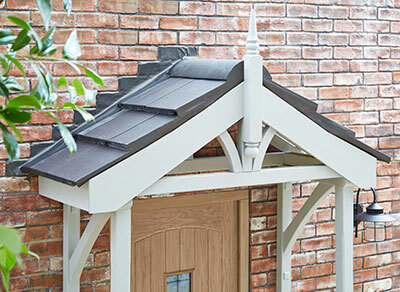 Transform the exterior of your home and provide some welcome shelter on rainy days with the Cheshire Mouldings range of porch canopies and accessories. With over 20 years’ experience we provide only the best, and our porches are no exception. With a variety of styles and designs including turned and straight sides which can be teamed with either a flat or slanted roof, and an optional finial for a decorative touch there really is something for everyone. Contact our Hardware Department (contact us link above) and quote the product code.